"You might laugh, but I thank God everyday that it's been cold that he gave me the wisdom to give away my chickens! I miss them but I just realize that I'm getting too old to be cold!" In spite of the mishaps that happen along the way it's nice to look back and realize we have much to be thankful for. So many blessings come our way we can't forget them! Here are My Top Ten Reasons I'm Thankful This Year! 1. My Wonderful family! Every last one of them. 2. He has given me another year, another day, another moment..
3. My beautiful garden this year. Wonderful bounty. 4. For my strength to carry on. That's all we can do. 6. For safe trips home after travel. 7. For caring neighbors and a wonderful church family. 8. For meeting our needs and sometimes our wants! 9. For listening to all my prayers. Every prayer is important to him. 10. 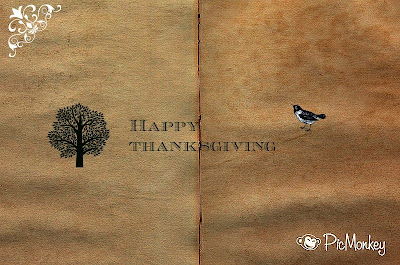 I'm thankful for my blog and blog readers. Such nice people come by and read my blog. It makes me feel great.